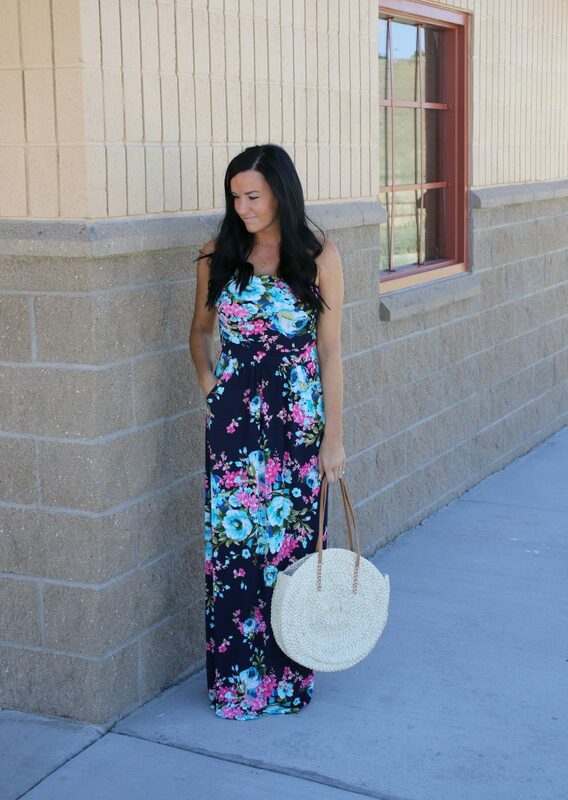 It’s no hidden secret that I love maxi dresses, in fact I think this is maybe the 3rd or 4th blog post on the topic in the past 3 months! 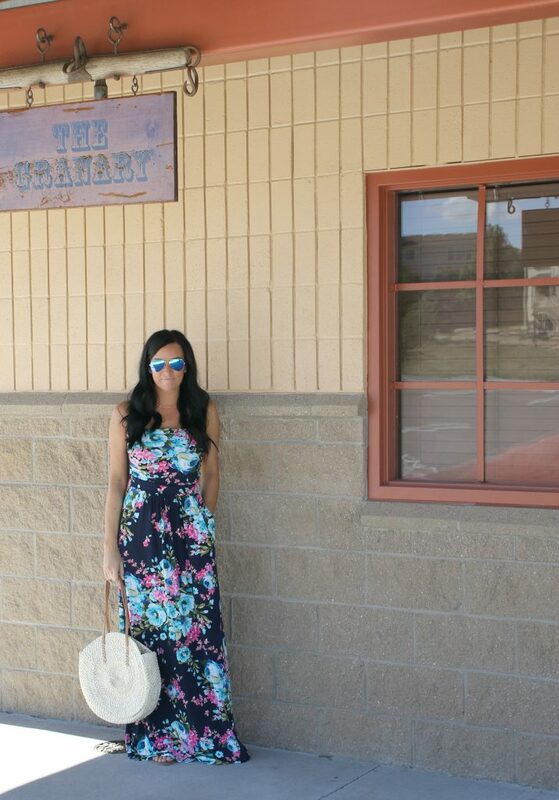 See, when it gets hot, a light-weight maxi can be a cute option for brunch, church, dinner out, family BBQs/outings, even shopping in an outdoor mall. Fashion Junkee has JUST the dress! 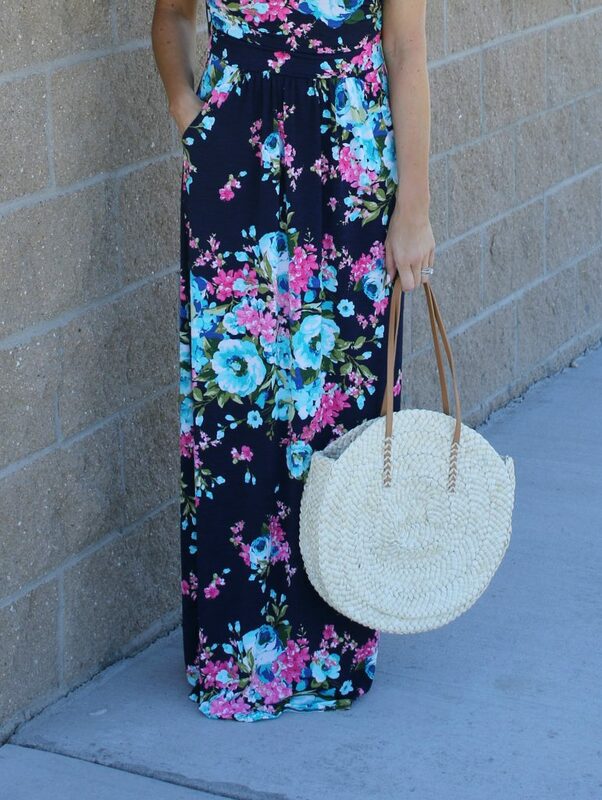 The first tube top maxi dress I bought back in June 2016 was this navy floral one. I still wear it all the time and have often thrown a vest or cardigan over it for work. Unfortunately this exact one isn’t available anymore, but many others are. See more here. I also bought the white and pink patterned one last summer. I wear it a TON, too, and to me it feels a little more dressed up! The colors in it are my favorite combo. It is still available here. Which one is your favorite, navy or white? If you see something on Fashion Junkee that you like, you can get 20% off your order with code XOJULES! *This post was created in collaboration with Fashion Junkee. 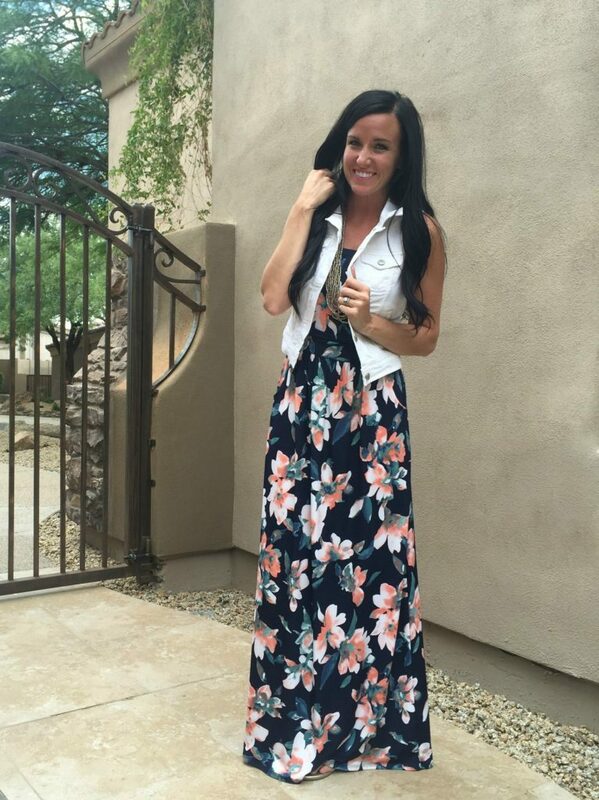 and I was gifted the Bright Floral Maxi in exchange for my personal and honest review. All opinions are my own.